If you take our beginner Swing dance classes you will have fun! You will learn! You will feel better about your dancing! Our group classes are limited to actual beginners; it is lose/lose when a class has ringers. We focus on getting EVERYONE to move up to speed. Getting EVERYONE to try several different patterns, steps, and rhythms. Getting EVERYONE to have fun. DanceSmiths does not use the "Stick Method." 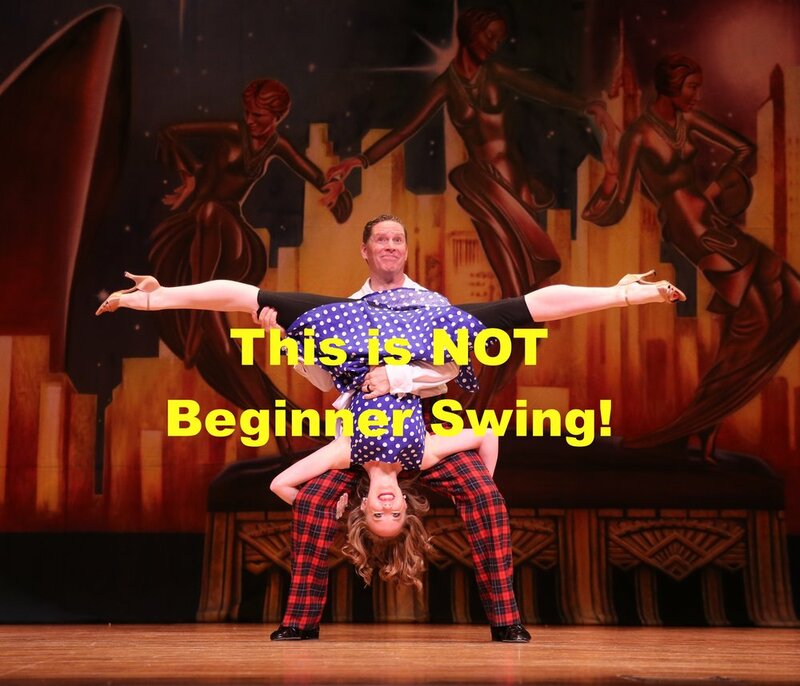 We don't harangue you for mistakes; after all, you are a BEGINNER in a BEGINNER Swing Class. Click here to sign up. DanceSmiths offers Private lessons in most styles of Swing Dancing. The best way to decide which swing you like is to choose the style of music. Swing music isn't exclusively 40's big bands. There are country tunes, pop tunes, retro electronic swing music, even a few hip hop swings! DanceSmiths will help fashion your style and flavor to suit you. Private Swing Lessons allow you to advance at your own pace. You get 100% of the instruction; focused and adjusted for you. Our Private lessons are guaranteed, too. If you are not completely satisfied with your lessons let our owner know,within 24 hours, and you will not be charged for that lesson. Private Dance Lessons are available Monday through Friday, starting at 10:00AM. Our last lesson starts at 8:00pm. This gives you flexibility to schedule when it is convenient for you. Click here to sample a private lesson.